Enables all HR administrative data linked to the employee to be managed. Allow access to data linked to each employee in a single click. Give the possibility to share certain data with other modules by tailoring access privileges. Benefit from a dynamic and very flexible structure, allowing any kind of data to be managed (employment contract tracking, job position history, personal contact details, etc…). 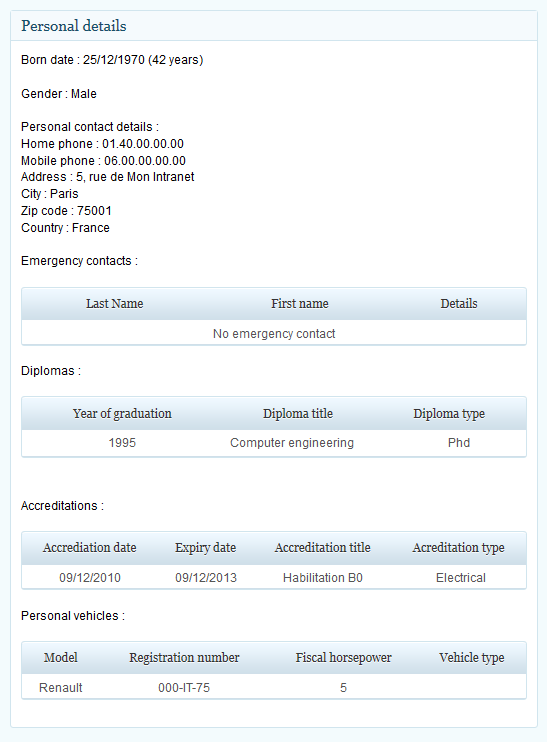 Time saved : their administrative data is automatically updated in the intranet. Improved follow-up and communication : the manager has access to all team data in a single click. Time saved : the HR personnel file tracking is completely computerized. Efficiency : data access and update is very fast. Flexibility : all types of data can be input in the solution thanks to a very flexible and highly configurable structure. Trial the employee HR file management module now! Other than these fields listed by default, each client can add, at their convenience, an unlimited amount of data according to the information they wish to process at the HR file level for each employee in My Intranet. The data structure is dynamic, thus allowing you to have a great diversity in the format of input data. The full advantage of this personnel file management module, lies in the fact that the data is also accessible in other modules in order to enrich the existing data. For each field, you can configure access in a very specific way, depending on the target module and the user level (employee, manager and administrator). 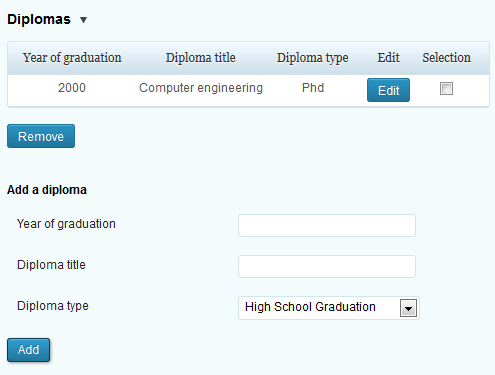 Data is input in each employee profile by the administrator or the employee themselves (according to the settings selected for each field). Still in relation to visibility settings, data is then available in the different modules. For example, in the internal directory module, the employee record is enriched with an HR box filled with data input in their profile.